Nearly there. I think I might start a tradition of having literally nothing else to say come number two on this list. I honestly stared at this game for a good long time and seriously thought about making it my number one game of the year. I mean, it’s a good Sonic the Hedgehog game, when does that even happen anymore. I’ll tell you when: It’s when Sonic Team has nothing to do with it anymore. I spoke about this game shortly after is came out and how I felt like it was a labour of love, and it really shows too. I love this game and continue to play it despite finishing it half a dozen times at this point. Christian Whitehead, the lead of Sonic Mania was very much a Sonic fan. He worked for Sega, porting a lot of their original games to iOS. It was when he made an original zone and showed it to the people at Sega that they decided to let him have a crack at making his own throwback game, and boy did it pay off in a big way. 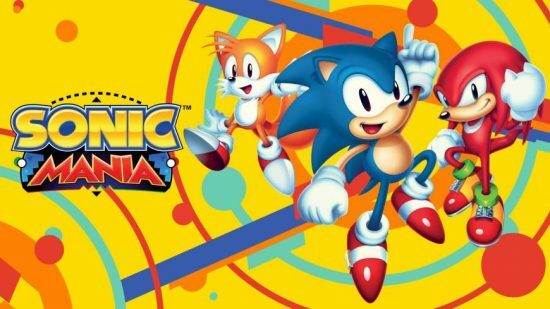 Sonic Mania is an incredible love letter to all of the old 2D sonic games that came out before the first Sonic Adventure on the Dreamcast. It makes pulls from not only the original games on the Mega Drive, but also Sonic CD, the Game Gear versions and abandoned concepts from before the series started. It’s packed with easter eggs and little references to other Sega properties of that era. But if you take out all the pandering, all the things to make the fantards like me squeal, what you’re left with is an incredibly well made Sonic game, maybe the best. It’s obvious that this game was made to cater to what we remember loving about those old Sonic games, even if that was not necessarily what they actually were (I’m looking at you every stage in Sonic 1 after Green Hill). 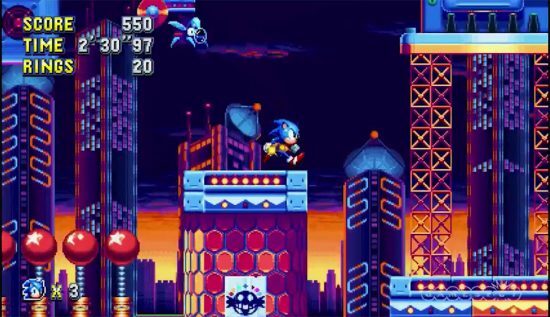 Each stage in Sonic Mania is crafted expertly to work to the strengths of the old series; long roller coaster sections that really allow you whip around the stage at high speeds, peppered with platforming sections that feel good and satisfying to play, something Sonic games haven’t gotten right in a while. Stages are bright and really smartly designed, accompanied by a fantastic soundtrack which mixes classic tracks with original ones, as well as great remixes. Seriously, it might be my favourite soundtrack of the year. Seriously, listen to it. It’s the game people like me, who grew up playing these games, have wanted for years. It’s also the game that might have finally snapped me out of the delusional fugue that I’ve been in for the past decade or so. Sonic doesn’t need to be bad anymore, and we shouldn’t have to put up with it anymore. Sorry, but Sonic isn’t Mario. He can’t be the big, highly polished, 3d experience like we see in Odyssey. But a 2D throwback made on, reportedly, a shoestring budget makes it to number 2 on my favourite games of the year. I hope to god that Sega let Christian Whitehead make another one of these, because if I got a game like this out of him every two or three years then I would be a very happy person. Hell, I bought this game on two different platforms I liked it so much. This is most definitely not a game for everyone. My nostalgia being what it is, this game hit me harder than it would hit any neutral. But it’s a good Sonic game in 2017! It’s crazy. Posted on December 29, 2017 December 29, 2017 by WooderonPosted in 2017, Best of Year:Tagged christian whitehead, game of the year, goty, sega, sonic mania, sonic the hedgehog.